The following is a review of the Dean Ornish Diet and Dr. Dean Ornish’s statements published in The New York Times. Title is misleading and uninformed. The low-carb diet is not high-protein. It is high-fat. I’m not aware of anyone in the low-carb community advocating a high-protein diet. But, alas, bacon and egg yolks are not health foods. Pork, meanwhile, contains large amounts of iron, niacin, phosphorous, selenium, vitamin C, and vitamin B12 (the last of which is not available in plant foods). Of these, vitamin C and iron are “shortfall” nutrients. Pork, like all animal foods, also contains complete proteins with the full complement of essential amino acids, unlike vegetables, which contain only partial proteins. So pork, too, could easily be considered a health food. “Added fat” refers almost exclusively to vegetable oils. By contrast, animal fats have declined by 17% since 1970. Total fat (in both absolute terms and as a % of calories) has declined as well. and 24.5 percent more calories than they had in 1970, according to the Agriculture Department. Not surprisingly, we are fatter and unhealthier. The debate is not as simple as low-fat versus low-carb. Research shows that animal protein may significantly increase the risk of premature mortality from all causes, among them cardiovascular disease, cancer and Type 2 diabetes. The key word here is “may.” The finding on mortality, cardiovascular disease, cancer and diabetes all come from epidemiological studies, which establish associations, not causation. The magnitude of the observed associations are marginal, by normal scientific standards, and could very well be due to confounding factors, such as the fact that meat-eaters (who, after all, are the sort of people who must have strenuously disregarded their doctors’ orders and are therefore less health conscious) tend to be fatter and smoke more. One reality check is that consumption of red meat has dropped by 17% since 1970 (and beef by 22%), during which time the obesity and diabetes epidemics have sky-rocketed, so it’s hard to blame meat for these diseases. Any and all lifestyle variables confound these studies, including many that are not measured (for example, the Nurses Health Study, which is the biggest epidemiological study in the US, cannot accurately measure sugar consumption—and therefore cannot control for it.). Moreover, these studies rely on self-reporting of the diet, which has been demonstrated to be highly unreliable. And there are other problems with epidemiological findings, particularly with regard to red meat (see page 108-111 and 261-266 in The Big Fat Surprise, or this article in the New York Times by Gary Taubes). These fundamental structural problems in epidemiology are the reason that their findings have only a 0-20% chance of being right when tested in clinical trials, according to an analysis from Stanford University. Heavy consumption of saturated fat and trans fats may double the risk of developing Alzheimer’s disease. This is another epidemiological study, for which the same caveats apply. In this case, the findings might have been due entirely to trans-fat consumption, as the authors noted, or sugar consumption, which was not measured. A study published last March found a 75 percent increase in premature deaths from all causes, and a 400 percent increase in deaths from cancer and Type 2 diabetes, among heavy consumers of animal protein under the age of 65 — those who got 20 percent or more of their calories from animal protein. It’s somewhat embarrassing that Ornish would cite this study. The finding above is an association calculated in a highly flawed manner, as analyzed in thorough detail by Zoe Harcombe here. Moreover, the paper was written by an owner and three employees of a plant-based diet company named L-Nutra, which very likely biased the outcome. Low-carb, high-animal-protein diets promote heart disease via mechanisms other than just their effects on cholesterol levels. Arterial blockages may be caused by animal-protein-induced elevations in free fatty acids and insulin levels and decreased production of endothelial progenitor cells (which help keep arteries clean). This is a mouse study (and even stranger, the mice in question were genetically-altered in such a way as to make their relevance to human disease effectively impossible to determine). As one reads through the rest of Ornish’s claims, keep in mind this question: why does he need to cite mouse studies or tiny, preliminary trials on humans? Given that animal foods containing saturated fats have been dietary culprit #1 since 1961 (when the American Heart Association issued the nation’s very first national guidelines telling people to cut back on animal foods to fight heart disease), don’t we have better evidence on this important hypothesis after all these years? Of course we do: there are large, controlled clinical trials on many thousands of people lasting many years. These are, in fact, the biggest nutritional trials ever undertaken, but the results doesn’t support Ornish’s case, so he doesn’t cite them. He cites mouse studies instead. Animal protein increases IGF-1, an insulin-like growth hormone, and chronic inflammation, an underlying factor in many chronic diseases. This is another mouse study. In fact, it’s the same one cited above, conducted by an owner and three employees of the plant-based diet company. Also, red meat is high in Neu5Gc, a tumor-forming sugar that is linked to chronic inflammation and an increased risk of cancer. This is an in vitro (test-tube) and therefore very preliminary study that only speculates about its hypothesis. Its obscure idea has not been confirmed by other studies. A plant-based diet may prolong life by blocking the mTOR protein, which is linked to aging. No citation is given for this statement. When fat calories were carefully controlled, patients lost 67 percent more body fat than when carbohydrates were controlled. This is an unpublished study on 19 men, lasting only 6-7 days, on an experimental diet so low in fat (7-8%) that is has virtually no comparison in human history. Again, one must ask: why is Ornish citing such obscure, speculative and even unpublished data for his argument? After so many years of studying the low-fat diet, don’t we have better data? Yes we do. There have been many tests of the low-fat diet on tens of thousands of people, but their findings do not support the hypothesis that this diet helps people lose a significant amount of weight. In head-to-head diet trials, the low-fat diet nearly alhealth performs the worst. An optimal diet for preventing disease is a whole-foods, plant-based diet that is naturally low in animal protein, harmful fats and refined carbohydrates. What that means in practice is little or no red meat; mostly vegetables, fruits, whole grains, legumes and soy products in their natural forms; very few simple and refined carbohydrates such as sugar and white flour; and sufficient “good fats” such as fish oil or flax oil, seeds and nuts. A healthful diet should be low in “bad fats,” meaning trans fats, saturated fats and hydrogenated fats. Finally, we need more quality and less quantity. No studies are cited for these assertions. In fact, the recent 2015 Dietary Guidelines for America Committee (DGAC) report found only “limited” (second-lowest grade) evidence that the vegetarian “diet pattern” led to better health and only “moderate” evidence that consuming more fruits and vegetables improved health. (This is based on epidemiological data; the DGAC report cites no clinical trials on the vegetarian diet or the “fruits and vegetables” category). 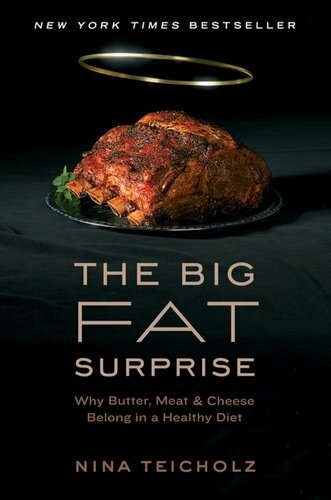 Moreover, his assertions about “good” and “bad” fats reflect conventional misunderstandings about fats. It now appears that saturated fats are not, after all, “bad,” in that they cannot be said to cause heart disease. This was the finding of two recent major meta-analyses that re-evaluated all the data on saturated fats (and there are other such analyses by less prominent scientists as well). These meta-analyses are here, here, and here. The “good fats” that Ornish cites refer to are vegetable oils. However, these are by definition highly processed foods and are extremely unstable, leading to harmful oxidation and inflammation unless hydrogenated (See end of Chapter 9 in The Big Fat Surprise). Vegetable oils as a comestible were introduced in the early 1900s and previously have no record of consumption by humans. My colleagues and I at the nonprofit Preventive Medicine Research Institute and the University of California, San Francisco, have conducted clinical research proving the many benefits of a whole-foods, plant-based diet on reversing chronic diseases, not just on reducing risk factors such as cholesterol. Our interventions also included stress management techniques, moderate exercise like walking and social support. We showed in randomized, controlled trials that these diet and lifestyle changes can reverse the progression of even severe coronary heart disease. Although Ornish routinely says that he performed multiple “trials,” in fact, he performed only one well-controlled clinical trial looking at heart-disease endpoints. That trial had data on only 41 men. That same trial was also published here and here, which are additional links provided by the NYT in Ornish’s op-ed. These multiple publications give the impression that there were separate trials, but in fact they are all different aspects of that one trial. For the blood-flow finding from that trial, Ornish had data on only 35 men. Although Ornish makes the case that even small sample sizes can have meaningful results, this kind of argument can only be applied to interventions with clear, obvious results, such as a vaccine that cures 100% of a people in a small sample. For studies looking at chronic diseases, which evolve slowly over many years, if not decades, and exhibit dramatic variations across populations, far larger sample sizes are needed to justify generalizations. Moreover, due to the Ornish program’s multiple interventions, it’s impossible to know whether his results were due to the diet or the yoga, or exercise, or social supports, or dietary supplements or any other aspect. Perhaps the diet made the difference, but one could never know. Also, he compares his diet only to the standard American low-fat diet, which pretty much everyone agrees is a failed diet. In nearly all clinical trials, every diet looks better than a low-fat diet. And crucially, despite several attempts, Ornish’s findings have never been successfully replicated, which is a basic hallmark of good science. Episodes of chest pain decreased by 91 percent after only a few weeks. After five years there were 2.5 times fewer cardiac events. Blood flow to the heart improved by over 300 percent. This is the trial cited above, with data on only 35 men. The “300%” refers to the relative change. Drug companies also report changes this way to maximize the appearance of impressive results. The absolute change in the arterial widening that Ornish found was only 3 percentage points. Moreover, arterial widening itself has been found not to predict heart attack risk with any accuracy. Rather than the build-up of plaque, it is a certain type of unstable, break-away plaque that is now thought to clog arteries and cause heart attacks. Also, one should note that although there were fewer cardiac events in the diet-and-exercise group, the ultimate endpoint, death, did not favor the Ornish group: two people died in his diet-and-exercise group (out of 22 total) vs. only one of the controls. Other physicians, including Dr. Kim A. Williams, the president of the American College of Cardiology, are also finding that these diet and lifestyle changes can reduce the need for a lifetime of medications and transform people’s lives. These changes may also slow, stop or even reverse the progression of early- stage prostate cancer, judging from results in a randomized controlled trial. This trial was on 93 men for 1 year. It shows very modest improvements in PSA for the experimental group. When Ornish retested the same group of patients for his 2013 paper on this study, he did not see nearly such dramatic results. These changes may also alter your genes, turning on genes that keep you healthy, and turning off genes that promote disease. Again, the key word here is “may.” This is a speculative pilot study on only 30 men for 3 months. As a pilot study, the data can be used to generate a hypothesis, not as proof for one. And again, one needs to ask why Ornish is relying on such unconventional, marginal outcome measures when there are a host of normal outcome measures, such as LDL, HDL, etc. A possible answer to this question is that Ornish’s diet does not look especially good by these outcomes: HDL-C (the “good” kind) reliably falls on his diet. They may even lengthen telomeres, the ends of our chromosomes that control aging. This is a follow-up publication from earlier studies with data on only 10 men showing modest increases in telomere length. It’s not clear if Ornish’s findings are real or due to measurement error. Moreover, the biological significance of telomore length is considered to be speculative. Note that all of Ornish’s studies are exclusively on men. The more people adhered to these recommendations (including reducing the amount of fat and cholesterol they consumed), the more improvement we measured — at any age. But for reversing disease, a whole-foods, plant-based diet seems to be necessary. Adherers always look better in any study. This is called the “healthy adherer” effect and is due to the fact that people who adhere tend to be the kind of people who have many other behaviors that make them healthier. This effect is independent of the intervention (e.g., it also occurs with placebo interventions). In addition, what’s good for you is good for our planet. Livestock production causes more disruption of the climate than all forms of transportation combined. And because it takes as much as 10 times more grain to produce the same amount of calories through livestock as through direct grain consumption, eating a plant- based diet could free up resources for the hungry. This argument is part of the growing idea that environmental, ethical and health concerns can all be wrapped up into one “Do Good, Be Good, Feel Good” food “movement.” However, they are all separate scientific questions, and it’s a vital matter, for each of them and for the public health, that they be studied and evaluated separately. What you gain is so much more than what you give up. Dean Ornish is a clinical professor of medicine at the University of California, San Francisco and the founder of the Preventive Medicine Research Institute. Dean Ornish also licenses his program and runs a fee-based service to train health professionals to administer his program through a partnership with the for-profit Healthways Corporation. Dean Ornish is the current day Ancel Keys who will go down in history as destroying our food supply and inflicting illness in epic proportions across the globe. The truth will win out but the cost will be immeasurable. Nina, what a job you did dismantling his “arguments”. No wonder he becomes more and more defensive every year; his arguments are falling apart with the evidence. 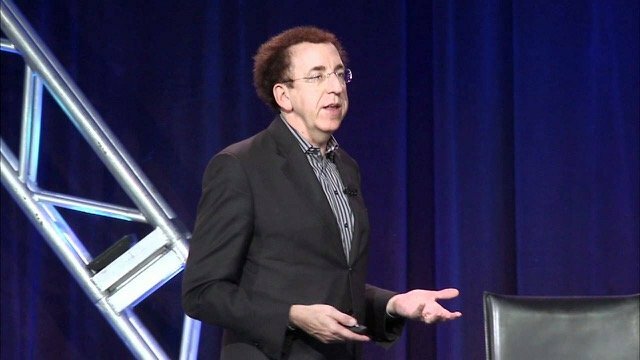 Would that Dr. Ornish could be like the graceful Dr. Tim Noakes, who had the manhood to admit when he was wrong, and right his ship to sail in the direction of good health, instead of just protecting his house-of-cards empire.